A collection of images of Criuise ships at exotic locations around the world. Including MV Discovery and Thomson Celebration. 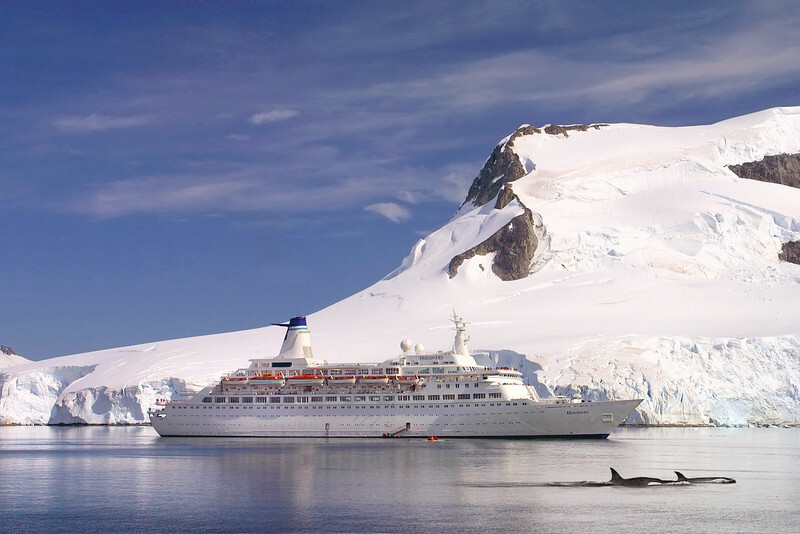 MV Discovery (Voyages of Discovery) at Paradise Bay, Antarctica. With Killer Whales in foreground.